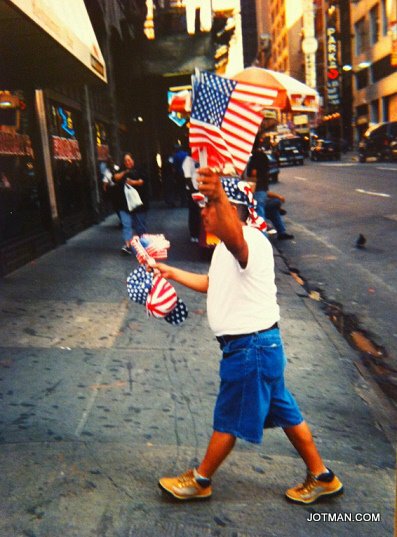 Earlier this year I found some photos I had taken in New York City on the afternoon of September 11, 2001. I had taken them with a disposable film camera that I had bought from a camera shop in Times Square just before they decided to close for the day. These were the first flags I saw anyone carrying. By the end of the week the city would be covered in flags. New York felt like an extremely fragile place. Flags lifted spirits and gave strength. 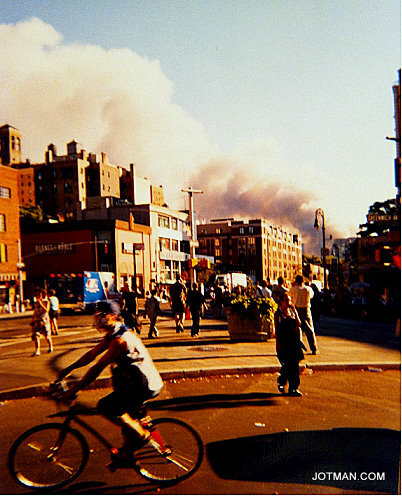 People gathered at intersections -- there wewe no cars, there was no traffic -- and gazed at the sickly cloud of smoke rising over lower Manhattan.